Proud and independent, the Saluki is an ancient breed of dogs that had stood besides the human kind closely for thousands of years. 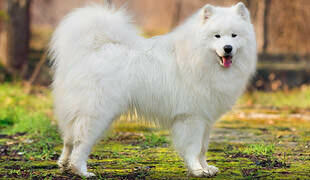 In fact, they’re one of the oldest domestic dog breeds on Earth. If you’re looking for a dog that will love you unconditionally, while also maintaining a sense of dignity and style at all times, this breed might be perfect for you. Although they might seem reserved and aloof at most times, Salukis are quite sensitive and full of love for their family. They can easily pick up on their humans’ energies and “figure out” if there’s a conflict among the members of the household. If you’re a family that loves drama, this dog definitely isn’t for you. They build a strong bond with their family, but they won’t go crazy and be desperate when you leave your home. They’re the perfect choice for living indoors, however, an apartment might not be the best choice as they need a lot of room to run. Their ideal place is a wide-open, controlled area for sprinting. If you like to jog, the Saluki will be the perfect companion, as they love and need exercise more than anything. Salukis are masters at endurance, so you better keep up! 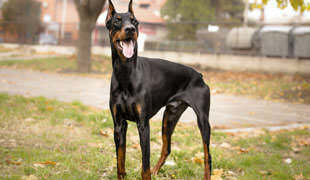 Have in mind that they’re natural hunters that can easily spring out of your sight in a matter of seconds, so keep them on a leash at all times when walking or going for a run. Many people say that Salukis are shy, but that’s not true. They just have their very own, specific way of doing things. Dignified and independent, they will make an excellent family member. Just make sure that they get proper training and socialization when young. When it comes to grooming, Salukis only need occasional brushing so keep their coats looking fresh, clean, and stylish. Make sure to inspect their ears on a regular basis, as they’re prone to dirt-caused infections, and check their noses for sunburn. They can live as long as 12 years, but you do need to take them to the vet on a regular, to keep their health in check. Their common issues include cancer, eye problems, heart problems, and hypothyroidism.